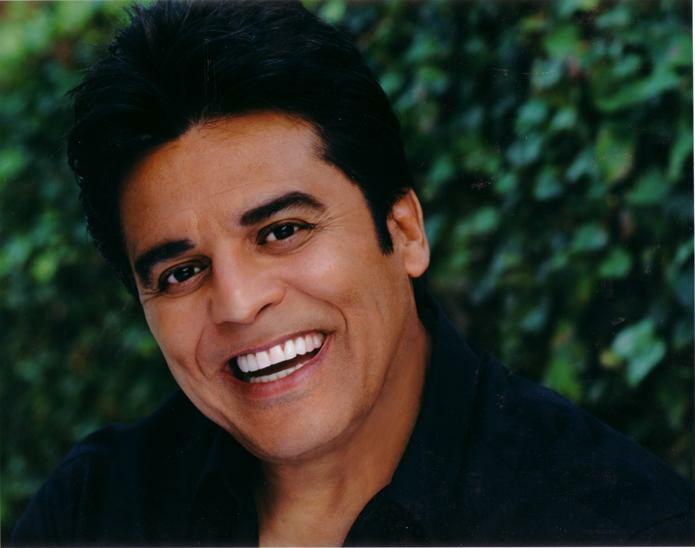 Erik Estrada has captured the hearts of millions of fans world-wide as a result of his six year run starring as highway patrol officer Frank Poncherello in the highly successful television series, "CHiP's". Also appearing in numerous other television and motion picture roles, the role he most prefers and enjoys is that of a role model to millions of children throughout the world. His success is all the more impressive since he was raised in a section of Manhattan's Upper East Side known as Spanish Harlem. His parents divorced when Erik was only two years old and since then he rarely saw his father. It was his beloved Grandfather who provided him with parental guidance until he passed away. Assuming the "man of the house" role at age ten was not easy. Erik had to deal with all normal difficulties of growing up, in addition to financial responsibilities at home and encounters with the world of drugs, street gangs and crime that surrounded his life. Through the influence of a family friend, Erik decided at an early age to become a New York City policeman. However, he enrolled in his high school Drama Club to "get close" to a girl he admired and landed the lead role in a play. "I was hooked on acting from that time on. I experienced emotions I had never felt before. I still don't understand it all - I only know that I need to perform. It must be my way of giving to others, and giving to myself at the same time." Erik's first real acting break came when actor/director Don Murray selected him to star as a streetwise character opposite Pat Boone in the true story, "The Cross and the Switchblade". The movie is still shown every week at about 500 youth centers across the country because of its powerful anti-drug and life-changing message. Following that film, he was convinced that the role of Sergio, a rookie policeman in "The New Centurions" with George C. Scott was perfect for him, but the producers did not agree. Undaunted, Erik borrowed some relentless persistence he finally landed the part. Important roles soon followed in such classic films as "Airport '75" (starring Charlton Heston and Efrem Zimbalist, Jr.), "Midway" (starring Charlton Heston, Henry Fonda, and Robert Wagner), and "Trackdown", as well as guest starring in virtually every top dramatic television series like "Hawaii Five-O", "Baretta", and "The Six Million Dollar Man". Then came one of the biggest hit shows of the late 70's early 80's, "CHiP's", and within a short time its popularity made Erik an international household name and the "King of Hunkdom". His dark good looks and a gym-buffed physique made him known worldwide as a Latin Lover and "PEOPLE" Magazine named him one of the sexiest bachelors alive... Erik's posters sold by the millions, he was a merchandiser's dream. His face and likeness were on Toys, lunchboxes, collector-cards, puzzles, mugs, t-shirts, towels, teen magazines and Fan Clubs etc. To this day he receives bundles of fan mail from all over the world where audiences love 'Ponch' and families enjoy the wholesome police drama. During a seasonal "CHiP's" hiatus he starred and produced the NBC Movie of the week "Honey Boy" for his own production company, the story was a ratings knockout and was about boxing, ambition, betrayal, and forbidden love. Estrada played a young fighter who gets discovered by beautiful Morgan Fairchild. And it isn't long before Erik's romantically involved with her. (Once again audiences loved Erik and the movie won critical acclaim). The movie was noted for some of the best fight scenes ever on the screen done by Ron Stein, who did the boxing sequences in "Rocky III" and "Raging Bull". When "CHiP's" completed its six year run, Erik took the opportunity to return to his acting roots in New York to star in a successful limited engagement in the off-Broadway production of "True West" at the famed Cherry Lane Theater. Off-screen he resides in the lovely Hollywood Hills and is the proud father of two sons, Anthony Erik and Brandon Michael-Paul. Erik enjoys running, tennis, golf and daily workouts at the gym. Erik is now happily married to his third wife and the love of his life, Nanette Mirkovich with whom he has abeautiful daughter named Francesca. In '99 Estrada and old friend Larry Wilcox returned astride their police motorcycles for a TNT movie reunion of "CHiP's". "I always loved Ponch", Estrada says. "It was so much fun for me to be him, to put on my duds, get on that bike and bust the bad guys, help out the kids, and to get the babes." In the year 2000, Erik was named the international 'Face' of D.A.R.E. which is a campaign against drugs. Erik is devoted to making children see that staying away from drugs is 'cool', and that there really can be 'role models' for children of all ages. He also became spokesperson for the C.H.P. 's "car seat inspection and installation" program. Erik is promoting child safety seats & key safety tips. He also speaks out for the 'Heart Association' and 'The United Way'. In 2004 Erik starred in the controversial reality series Surreal Life with Tammy Faye, Vanilla Ice & Ron Jeremy, the series was the highest rated VH1 & WB series ever made. And now you can watch Erik yet again on “ARMED & FAMOUS”. A&F is a new reality series that turns celebrities into crime fighters, following five brave stars through the Police Academy and onto patrol in Muncie, Indiana. ARMED & FAMOUS will premiere on Wednesday, Jan. 10 (8:00-9:00 PM, ET/PT) followed by a special original broadcast on Thursday, Jan. 11 (8:00-9:00 PM, ET/PT) on the CBS Television Network. ARMED & FAMOUS moves to its regular time period, Wednesdays (8:00 - 9:00 PM, ET/PT) on Jan. 17.